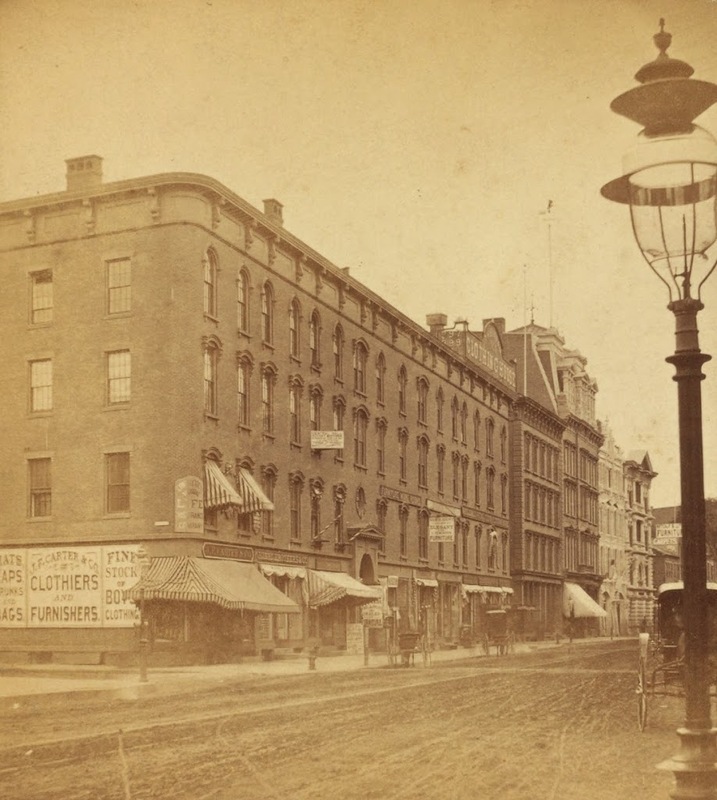 The corner of Main Street & Harrison Ave in Springfield, Mass, around 1878-1885. Photo courtesy of New York Public Library. 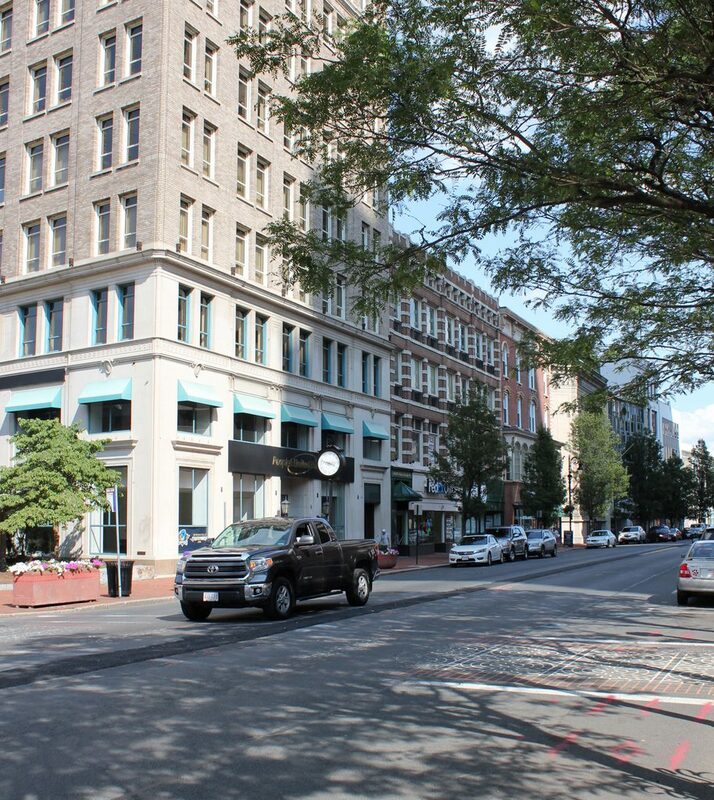 This view is very similar to the scene in this post, although the historic photo here is about 30 years older and shows just the buildings along Main Street from Harrison Ave to Court Street. As mentioned in the other post, the building in the foreground here is actually three buildings, which were constructed between 1858 and 1861, and came to be known as the Union Block. The earliest section, furthest from the camera, is the Republican Block, and it was the home of the Springfield Republican newspaper from 1858 until 1867. By the time the first photo was taken, it was the home of D.H. Bingham & Co. Clothing House, as seen on the massive sign atop the building. The Republican Block is the only part of the Union Block that has survived relatively intact to this day. The middle section, formerly home of Johnson’s Bookstore, is the original 1861 structure, but its facade was completely renovated in 1908 and does not retain any of its original architecture. Closest to the camera, the northernmost third of the block was home of Kibbe Brothers Co., a large candy manufacturer in the city. The Union Block was their home throughout the late 1800s, until they moved around the corner to a larger facility on Harrison Ave in 1890, which can be seen in this post. This part of the Union Block was demolished in 1915, and replaced with the 10 story building that stands there today.